The American Red Cross Desert to the Sea region is taking an innovative approach to recognize local organizations for their unprecedented action and philanthropy during the major disasters of 2017. “ERV & Serve” events showcase the region’s new Emergency Response Vehicle (ERV) and thank donors who supported disaster relief efforts. Volunteers, staff, Board members, local dignitaries and the ERVs recently honored the dedication of Cardenas Markets, Pacific Life Insurance Company, Ria Financial Services, AAA Automobile Club of Southern California, Circle K, and Alliance HealthCare Services. 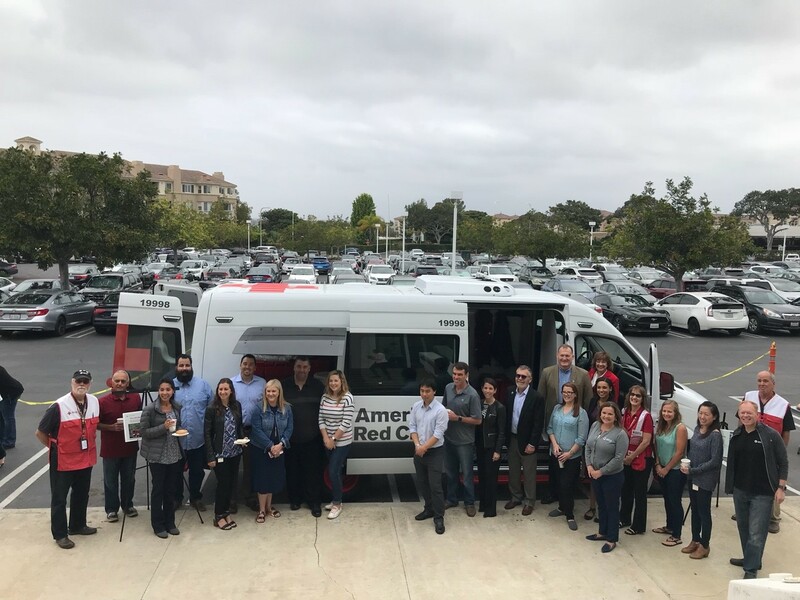 During a recent “ERV and Serve” at Pacific Life in Newport Beach, employees had the opportunity to tour the new vehicle, learn about the logistics of disaster response, and hear first-hand accounts from volunteers while sipping complimentary cups of coffee. At another ERV and Serve event with Ria Financial Services in Buena Park, employees were celebrated for their hard work and generosity by speeches and plaques from the American Red Cross, the Mexican Consul, and the Mayor of Buena Park. Ria turned the event into an additional opportunity to give back, organizing their first blood drive. A Red Cross bloodmobile pulled up next to the ERV, and RIA staff donated 32 pints of blood that day. ERV and Serve events have already been organized in partnership with six major donor corporations, and plans are underway for several additional ERV and Serves throughout the fall. The Desert to the Sea team loves to celebrate the hard work and dedication of their major corporate partners. The new ERV vehicle highlighted at these events will be used to respond to local, regional, and national disasters such as wildfires, mudslides, hurricanes, and floods. ERVs are also used to restock shelters, and play an essential role in responding to larger home and building fires. In response to the disasters of 2017, the national fleet of Emergency Response Vehicles traveled over 2.5 million miles to reach victims—the equivalent of driving around the world 103 times. “ERV & Serve” stewardship events bring the mission of the Red Cross close to home for donors, and illustrate the impact of their dollars. 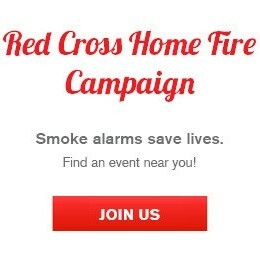 Each year, the Desert to the Sea region responds to nearly 800 home fires, collects over 90,000 units of lifesaving blood, engages nearly 2,500 volunteers, and conducts over 80,000 safety classes in addition to responding to regional and national disasters. Donors who give to support the purchase of new and enhanced vehicles provide a gift that will continue to give for many years to come.